For dressing up (or down, rather). Especialy designed for the Lakes. Easier to swim. I was going to be sarcastic, Loved, because.... nah nvm. However, some of us collecting clothes and yes, I miss this part for my red swim suit. So THANK YOU SPIRIT OF ATYMAS FOR ALL YOUR PRESENTS!!!! It's also not like we have a costume-room where fashion only items can go. 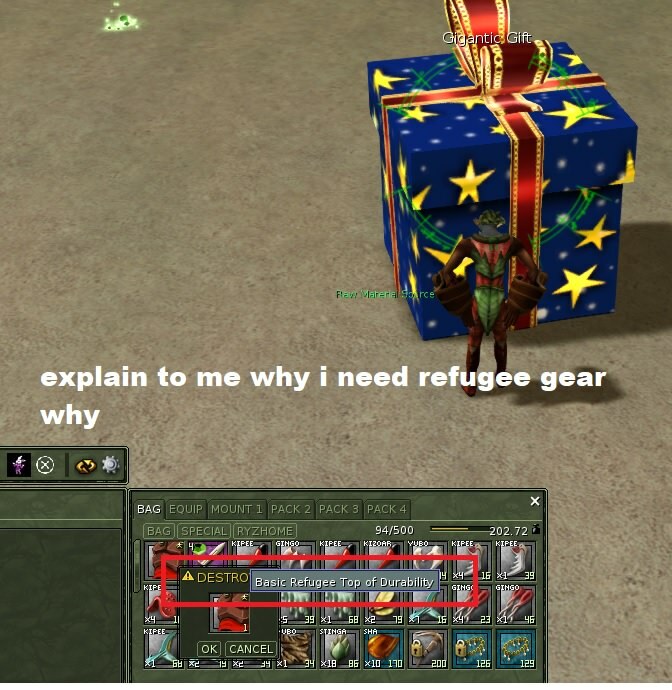 I'll +1 a plan to have refugee armor plans instead. You're not alone there. That idea was brought up again recently. Maybe if enough folks chime it, it'll make it onto the Forge's to-do list.